As promised, I’m posting the meatless meals from last week that I missed off due to life getting in the way. One particularly amazing meal that I missed off was a recipe is adapted from (yet again) Jamie Oliver’s 15 Minute Meals series. Originally, this recipe is paired with super-yummy lamb meatballs but as this was a meat free week and because we loved the stew so much, we decided to go all veggie on this one. 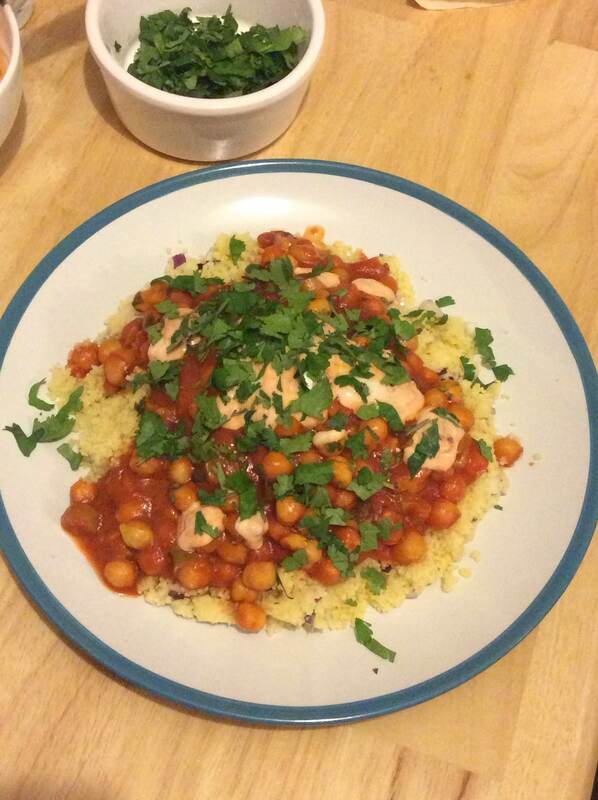 We weren’t disappointed and with the addition of the cous cous, we didn’t really miss the meat. I loved this meal and it was so filling I only ate half of my plate. The saffron gives it a nice exotic, savoury flavour that makes the stew really unique. I’ve always been a bit dubious about cooking with saffron–I’ve never really known what to do with it and it’s so expensive I’ve been terrified of wasting it, but it just has so much flavour! I think I might need to explore more ingredients outside of my comfort zone. If you’re interested in getting in touch, tweet me at @stephanie_khani or @londondiaries1. Alternatively you can email me at emailthelondondiaries [at] gmail.com. ‹ PreviousAre we or aren’t we?